Apartment in Recoleta, Buenos Aires - Santa Fe III ! 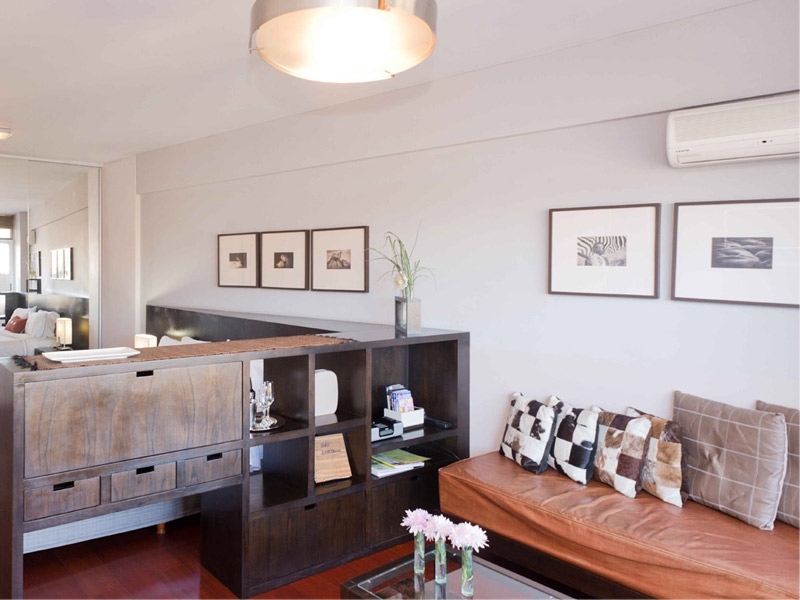 360 square feet studio with pool, gym and sundeck in Downtown Recoleta, with great transport links. 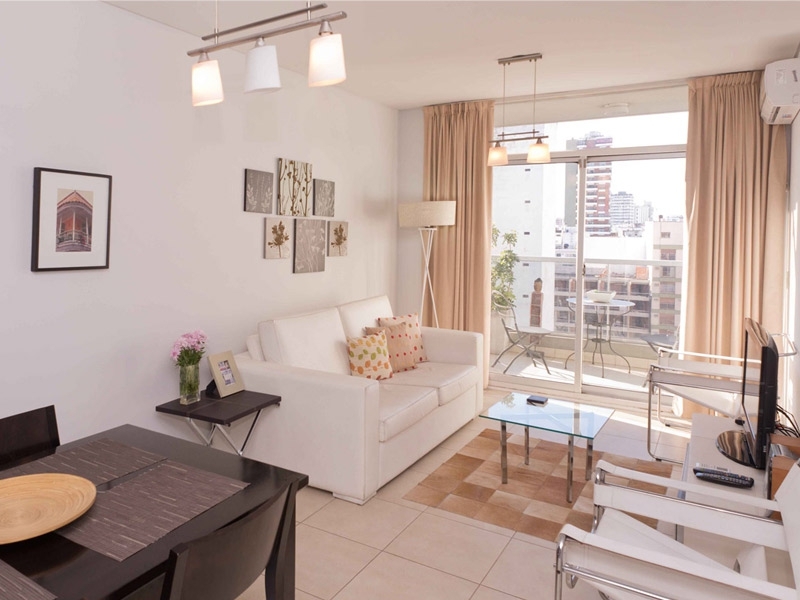 This well appointed studio apartment for rent in Buenos Aires is located in this modern and centrally located building on bustling Santa Fé Avenue, with shops, restaurants, bars and Recoleta village close at hand. This studio features a well equipped open plan kitchen, comfortable seating area, balcony, a queen sized bed and a very well appointed bathroom. Located on one of the upper floors of this building, this apartment is both light filled and airy, your perfect base from which to explore the surrounding neighborhood. It also represents fantastic value for money. Ideal for both couples and solo travelers, you will wonder why you ever used to stay in hotels. The building benefits from 24 hour security, pool, sundeck, sauna and gym, which is located on the top floor – Work out whilst you gaze across the city, time quickly passes by.